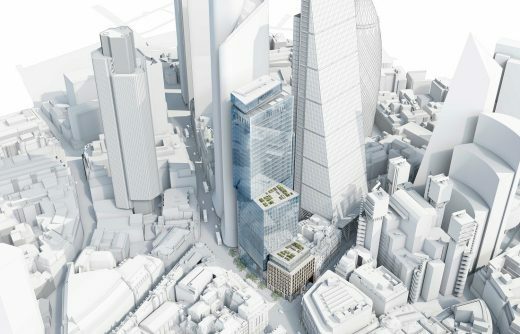 The WilkinsonEyre designed tower on the site of 6-8 Bishopsgate and 150 Leadenhall was submitted for planning to the City of London Corporation this week. The proposed 40-storey tower in the heart of the city will provide an office-led, mixed-use tower with flexible retail space at ground and mezzanine floor levels and a public viewing gallery at level 40. 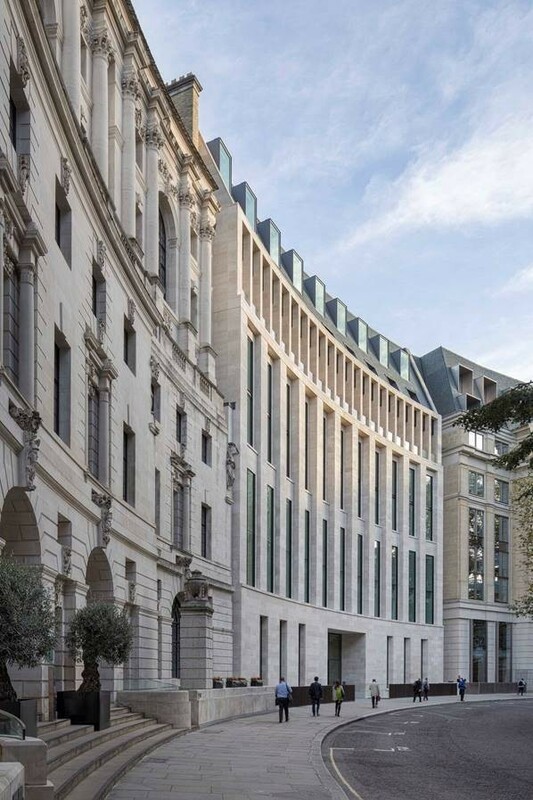 WilkinsonEyre has completed work on 8 Finsbury Circus, a £68 million commercial development in the City of London for Mitsubishi Estate London Limited and Stanhope. 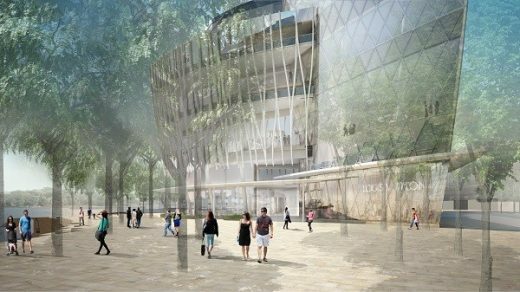 The scheme works to the client’s overall requirements for an ‘exemplary’ new office building in this historic City setting. 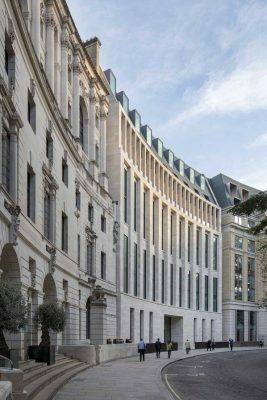 The site, which is adjacent to the listed Britannic House by Edwin Lutyens, has access from both Finsbury Circus and South Place. The main challenge was convincing the City Planners to allow the demolition of the existing building. WilkinsonEyre’s proposals maximise the full development potential of the extremely constrained site, whilst respecting the surrounding listed buildings. An art installation by Carpenter Lowings, commissioned for the project, runs the full height of a lightwell which, brings daylight down through the building and provides a visible connection between floors. The NSW Planning Assessment Commission has approved, subject to conditions, the applications for the modification of the approved concept plan for Barangaroo, and for the construction of the Crown Sydney Hotel Resort at Bangaroo South. 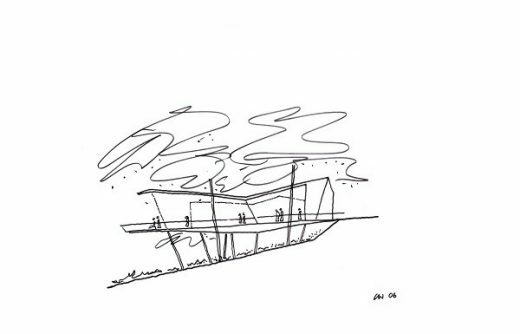 The exhibition Thinking Through Drawing: Chris Wilkinson – follows on from his UK exhibition at the Royal Academy of Arts in London, and will delve into the architect’s creative process revealing the central role that drawing plays within the development of a design. The newest link in London’s transport network will open to the public today (28th June 2012). The infrastructure was designed by London-based Wilkinson Eyre Architects, and the Emirates Air Line cable car will lift passengers up to 90 metres above the river Thames as they travel the 1.1km route between the Greenwich Peninsula and the Royal Docks. The 244th annual Summer Exhibition at the Royal Academy of Arts features a site specific architectural installation designed by architect and artist Chris Wilkinson RA, Director at Wilkinson Eyre Architects. The SeaCity Museum in Southampton opened in April 2012 – commemorating the 100 years since the Titanic set sail from the city. Wilkinson Eyre Architects has completed a seven storey office building located on Great Pulteney Street, in the centre of the Soho Conservation Area. The new £9.5m building, for client F&C Property Asset Management, replaces an outdated 1960s building and provides more than 3,000 sq m (33,000 sq ft) of flexible, efficient and light-filled office space. The fourth Olympic Park venue completed, more than a year ahead of the event and is one of the quickest venues to finish construction. The building is one of the largest temporary venues ever used for an Olympic and Paralympic Games and will be dismantled afterwards to be reused elsewhere. WilkinsonEyre, twice winners of both the prestigious RIBA Stirling Prize and the RIBA Lubetkin Prize, is one of the UK’s leading architecture practices. 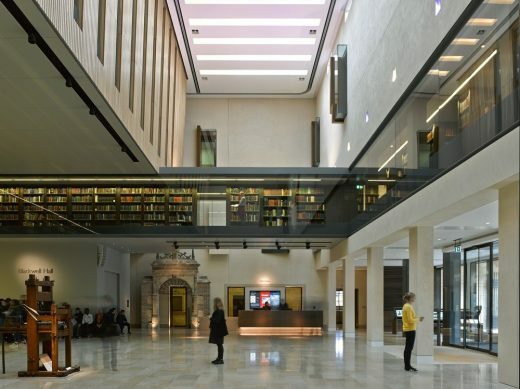 Its portfolio of bold, beautiful, intelligent architecture includes the Guangzhou International Finance Centre, one of the tallest buildings in the world; the giant cooled conservatories for Gardens by the Bay in Singapore; the new Mary Rose Museum in Portsmouth; and the Weston Library in Oxford. Current projects include the restoration of Battersea Power Station in London and new towers in Sydney, Melbourne and Toronto.